T4T (Thoughts 4 Thursday) is another category of posts I have not used in a while. So today let’s talk about meetings. 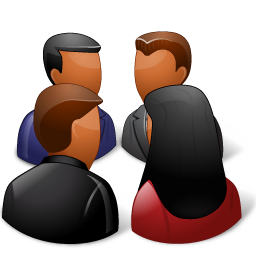 A meeting is a gathering of two or more people that has been convened for the purpose of achieving a common goal through verbal interaction, such as sharing information or reaching agreement. Meetings may occur face to face or virtually, as mediated by communications technology, such as a telephone conference call, a skyped conference call or a videoconference. I love the fact that Wikipedia’s definition includes technology. I really have never been into meetings. Let me explain, I have never been one to participate in many meetings, whether having to do with my personal life or my career when I was in one. I never have really been in that administrative roll. In the few meetings I was part of, it seemed that, there was a lot of talking, mostly by people that seem to enjoy listening to themselves talk. Several of those meetings ended in no action, just talking. Now maybe I was just unlucky, to have consistently poor meeting leaders, but it left a sour taste in my mouth. Because of this I avoid most meetings. I guess I just like to get stuff done and not talk or listen to myself talk about getting stuff done. Questions: How many hours a week, do you participate in meetings? How do you moderate a successful meeting? My answer: At this point, I avoid meetings. Which is not very hard, being I am a stay at home dad. In the future, my avoidance, will probably subside, depending on what I do, working outside the home. Thanks for visiting and contributing.